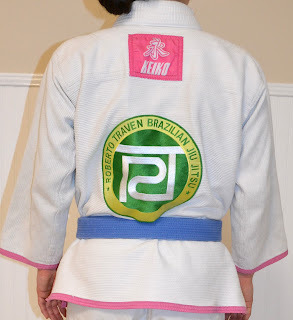 I received the white / pink Keiko Raca Girl's gi as a gift in December of 2010; I've trained and competed in it regularly ever since. 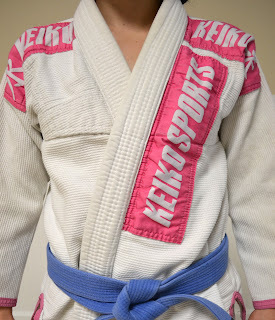 Since this gi's held up so well for me and I couldn't ask for a better fit, I wanted to write a review in case this may also be your perfect gi. I love this gi top as it definitely caters to my proportions. I have a long torso and a broader back for my stature, thus I appreciate a gi that gives a little room. If you have an athletic build, this gi top provides room in all the right places without being over-sized. 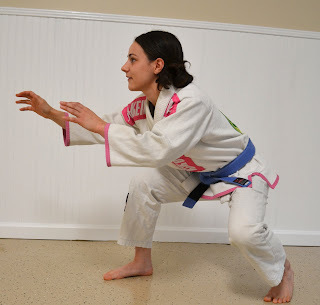 The jacket is of sufficient length for my longer torso and has wide enough sleeves that I’ve never been concerned about meeting IBJJF requirements at a tournament. 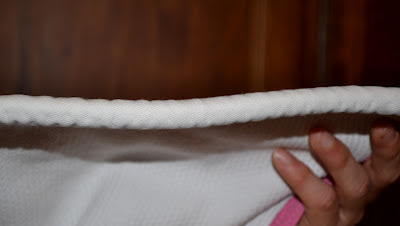 The gi top may have shrunken very slightly in the first wash; however, it wasn’t significant enough to be noticeable. I’ve washed this gi top on a regular basis since I first received it and it’s still in great shape. The gi top has 4 patches and and a pink accent trim. I think the patches are arranged in a very attractive way: one logo on the front of the jacket along the left lapel, one on either shoulder, and one square logo on the top center of the back of the jacket. 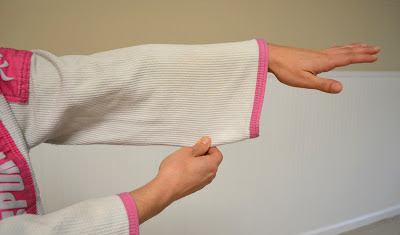 The pink trim runs along the hem of both sleeves and along the bottom of the jacket. The jacket material is lightweight, but never stretches with training. 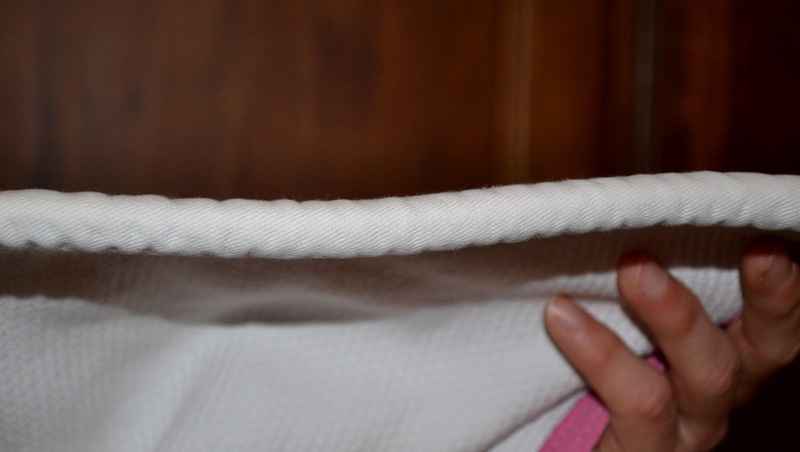 The gi top also has a pretty thick collar that’s maintained its stiffness over the last year and a half of use. I’m just as big of a fan of the pants of this gi as I am the top. The pants are of a lower rise (typically my preference) and have a straight fit through the leg. I would say the pants are on the shorter side; however, I have proportionately short legs so these pants fit me perfectly. 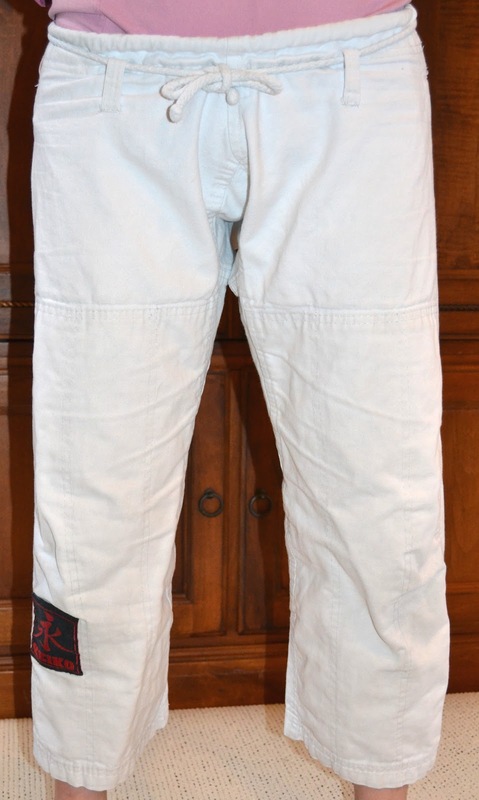 If you’re on the higher side of the height range for a particular size and you have a shorter torso and longer legs, I would be a bit concerned the pants wouldn’t be long enough to meet IBJJF standards. I’ve washed the pants regularly since owning them. They've held up very well and, despite shrinking very mildly, they still fit just as well as when I first received them. The pants have one unobtrusive red and black Keiko patch located on the bottom of the right pant leg. The pants are made of 100% cotton with reinforced stitching in all the right places; thus giving the pants a smooth yet durable feel. The fabric may stretch very slightly during training, but it’s not enough to be noticeable. The pants have a rope tie that sits right at the hips and always stays tied during training. Thanks for the photography Mom. 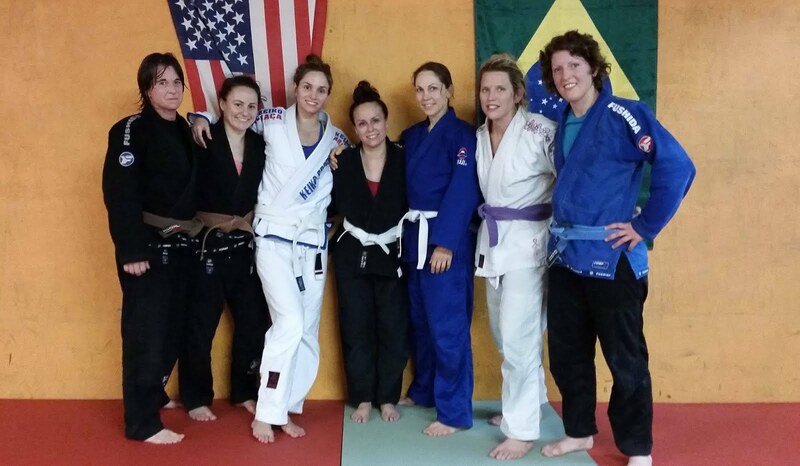 This is my favorite gi for training and for competition. It has a light feel without sacrificing a stiff collar and a high level of overall quality. For an athletic build, I would say the sizing chart is very true to size; if there’s any room for error, I would say the weight ranges could reach a little higher for any particular size as the jacket is generous in the right places. I would recommend this gi for both training and competing as it’s light yet durable and has always passed IBJJF standards for me.